It’s an old reviewer’s standby to describe their subject as work that will stay with the reader long after they have put it down. In the case of the emotionally immersive experience of Over Under Sideways Down, though, this is not lazy cliché. 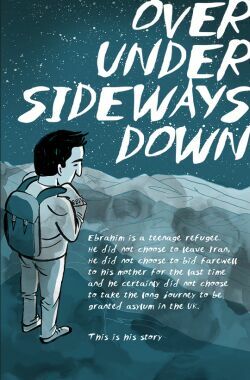 Over Under Sideways Down – our 2014 Broken Frontier Awards winner in the category of ‘Best One-Shot’ – was released in the UK in June of this year as part of Refugee Week; an event designed to celebrate the contribution of refugees to the country and to promote a greater understanding of why people seek sanctuary here. 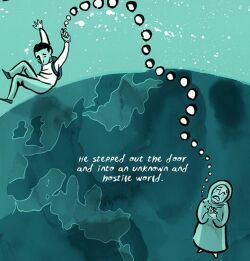 Published by the Red Cross, and distributed for free in print and online, the comic tells the true story of teenager Ebrahim’s flight from persecution in Iran at the age of 15, brought to comic strip life by British creator Karrie Fransman (The House that Groaned). 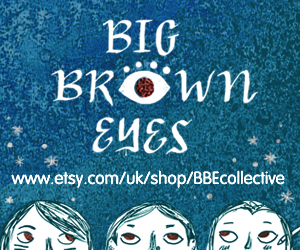 Earlier this year I reviewed Over Under Sideways Down here and it was also among my selections this month as one of my own personal top three comics of the year when, as Broken Frontier’s Managing Editor, I was asked by the Forbidden Planet International Blog team to talk about my ‘Best of 2014’ selections for their traditional series of annual round-ups from creators and commentators across the industry. That in itself is a vital point to underline. 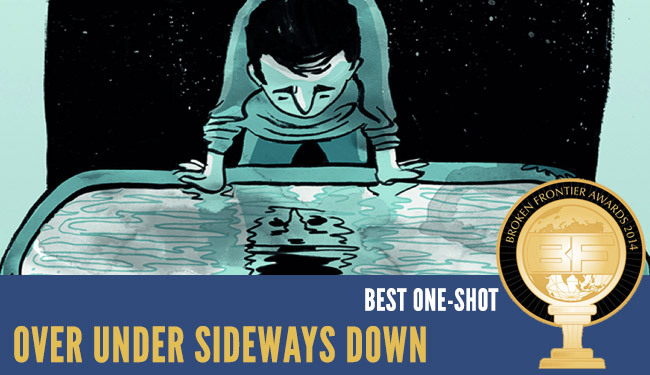 However praiseworthy Over Under Sideways Down is as an educational tool and as a piece of engaging and insightful graphic journalism – both of which should be lauded and celebrated in their own right – this award is for the single best use of comics as a medium in a complete shorter form work. 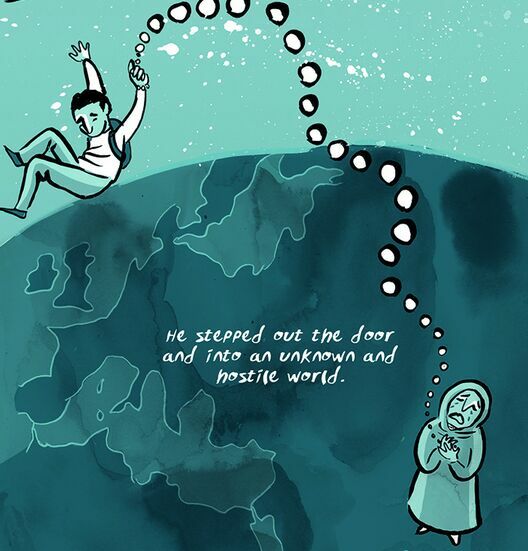 In that regard it’s Karrie Fransman’s subtle manipulation of the structure of the comic strip page in conveying Ebrahim’s unforgettable story in such a powerful and evocative manner that made this an outstanding example of the graphic narrative and a deserving winner in this category. Those claims are not hyperbolic, as any reader can see for themselves for free here. It’s an old reviewer’s standby to describe their subject as work that will stay with the reader long after they have put it down. In the case of the emotionally immersive experience of Over Under Sideways Down, though, this is not lazy cliché. 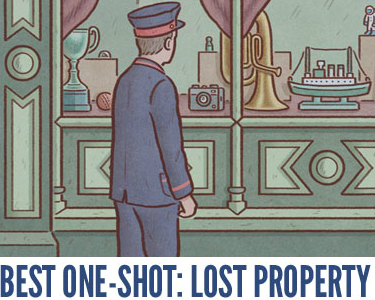 It’s a truly appropriate description of a remarkable piece of storytelling that stands as a testament to the potency of comics to communicate, share and inform. Over Under Sideways Down has been distributed free as an educational publication but you can read the entire comic online. Find out more about Refugee Week here.